It is of huge shape and dances beautifully. Logos on it bring incomparable advertising effects. Its non-stop action provides a good way to capture the attention of the public. Lighting system inside produces special effect at night.So it will can bring good advertising effect. 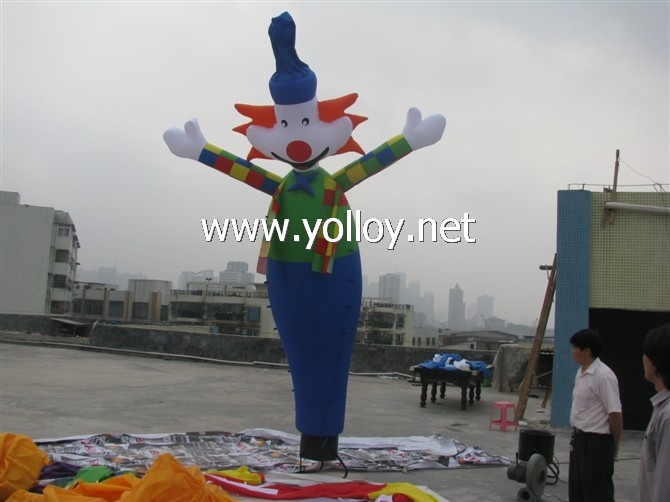 Air dancer is aerodynamic dancing inflatable that add fun and fantasy to events. They can be used for virtually anything such as promoting a sale, product or new store opening.Standing 6m tall or above, air dancer simply lets passers by know what you do and where you are.